When Steven Spielberg is enthused, his sentences pick up speed and momentum, the words coming in long, unpunctuated bursts that have you worried he’s going to forget to breathe. Just over a month ago, he tells me, his eldest daughter Jessica had a baby girl, his fourth grandchild. Spielberg has seven children, aged between 19 and 39; now he is making up stories for his grandchildren the way he did for them. “They’re all stories of empowerment, and being magical or able to read your mom and dad’s mind, or your best friend being a Tyrannosaurus rex that only you know about and he lives in your backyard,” he explains excitedly. We are sitting in the conference room of his production offices at Amblin Partners in Los Angeles, a two-storey building that looks like a cross between Fred Flintstone’s cave and a resort chalet, situated in a quiet corner of the Universal lot surrounded by lawns, palm trees and fake-looking boulders. On one wall of the room hang three Norman Rockwell originals and the Rosebud sledge from Citizen Kane, mounted inside a protective glass case. Downstairs are an editing suite, a screening room, a daycare centre and a restaurant-sized kitchen. The BFG is Spielberg’s 30th feature film and would seem to hail very much from the childhood dreamer that gave the world ET and Jurassic Park, rather than the darker, film-maker-turned-keeper-of-the-national-conscience who made Schindler’s List and Saving Private Ryan. If during the noughties, when the director was juggling expensive candy like The Adventures Of Tintin with works such as Minority Report and Munich, the question for audiences was, which Spielberg is going to show up? The answer, at least over the past few years, would seem to be: both. Last year we had Bridge Of Spies, a noirish cold-war thriller that was as brisk as any of his entertainments, and now we have The BFG, a children’s film to be sure, but adapted from the spiky Roald Dahl, whose work for children is always laced with more troubling currents. Spielberg’s generous view of Dahl is coloured by a certain amount of projection: joyful, big-hearted epiphanies are more his line of work than they are Dahl’s, but then, as faithful as the film is, particularly to the delightfully mangled English of the original (“I will be nothing but skin and groans”, “I is sleeping only once in a blue baboon”), the BFG can’t help but be a portrait of its maker, just as Oskar Schindler was a kind of self-portrait. There, it was Spielberg the showman and business altruist. 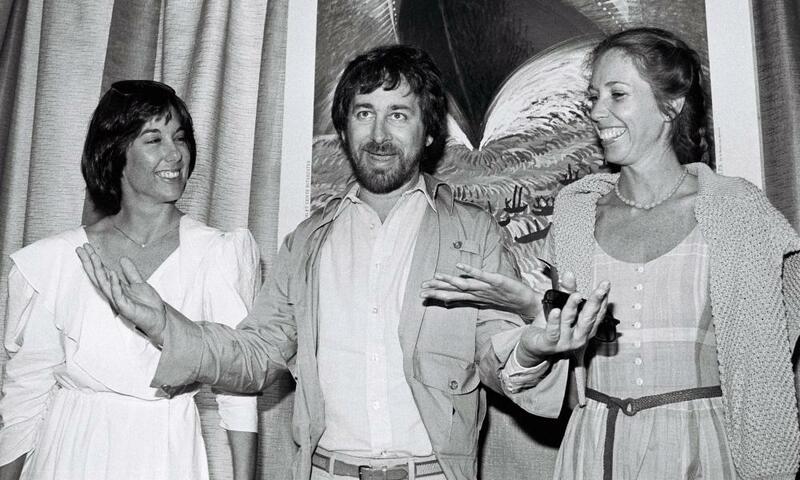 Here, it is Spielberg the dream-maker and corporate entertainment giant. Bullied by the other giants who call him “runt”, the humble, simple-minded BFG wants only to be left alone to do his job: bottling dreams to fill the heads of sleeping children. 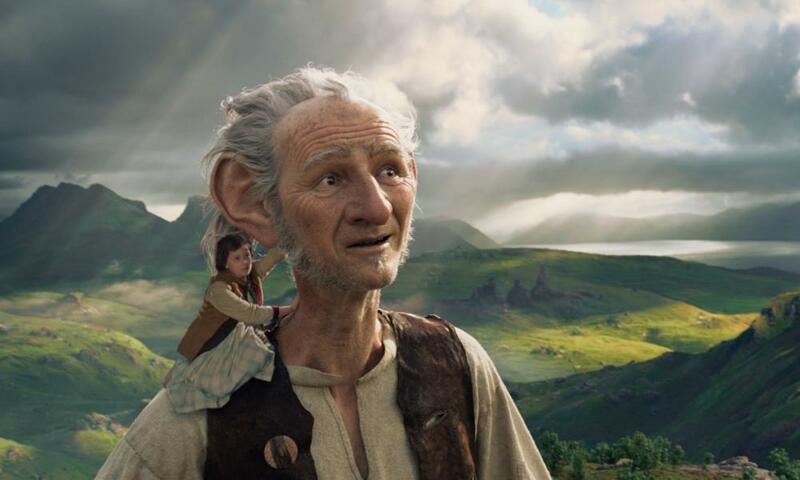 “I is hearing all the wondrous and terrible things,” the BFG tells Sophie, “all the secret whisperings of the world,” a line of Dahl’s that glances both at the maker of ET (a film Spielberg once called a “whisper from my childhood”) but also Schindler’s List, Munich and Spielberg’s more politically engaged films. He tails off. A master manipulator of emotions on the screen, he is more awkward about them in real life. He was in tears in the edit suite when it came to adding the final dedication, to Mathison. 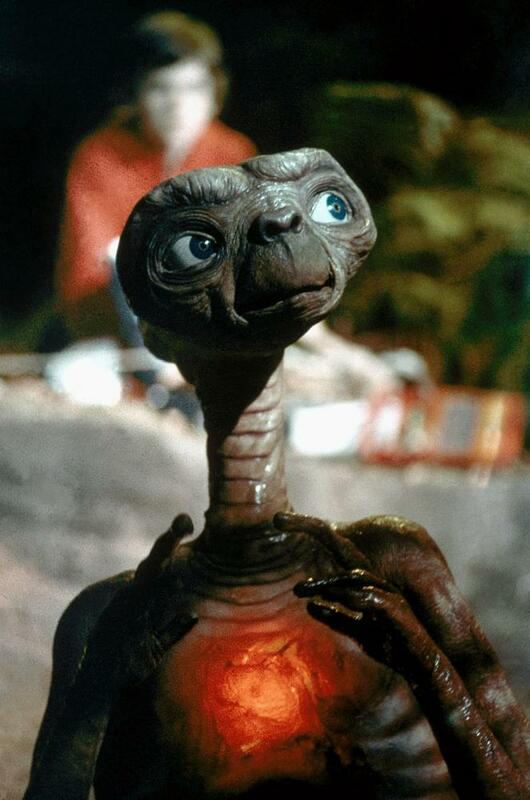 “It was really devastating to lose her, but particularly for Steven, after having started way back on ET and having been on this whole journey,” says his longtime producer Frank Marshall. “You can’t replace that kind of a relationship.” The film is in many ways a record of their friendship, as was ET: a two-hander about a small, lonely child who befriends a non-human fantasy figure who struggles with English and turns out to need rescuing. Viewed this way, his career is one of the biggest instances of over-compensation in the history of movies, his films, like those early home movies, a way of controlling and mastering an inhospitable universe, making friends of enemies, absorbing threats. 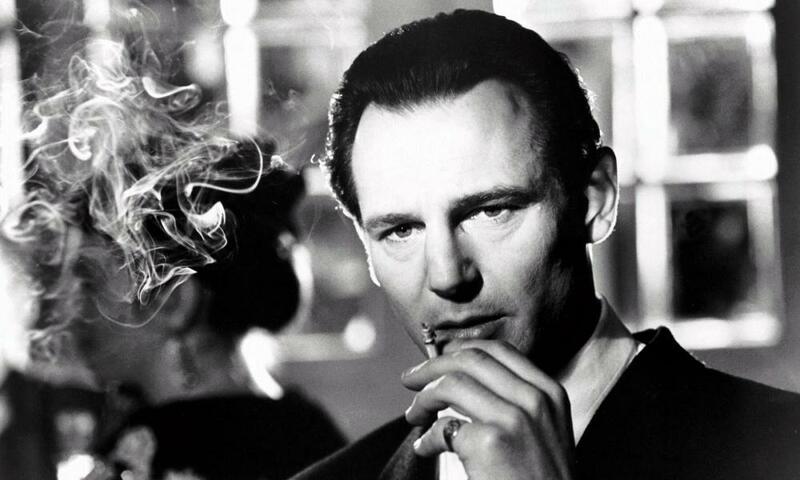 Accused by critics of hanging out in the kiddie pool for too long, he set himself on the path to cinematic maturity that would eventually lead to Schindler’s List, only to follow up in the same year with Jurassic Park – an astonishing stretch and, to his detractors, a sign of suspicious facility. Forbes magazine has estimated Spielberg’s wealth at $3.6bn. For serving as executive producer on Jurassic World, he is said to have made more money than Universal. “There are no intermediaries, there are no people to please. 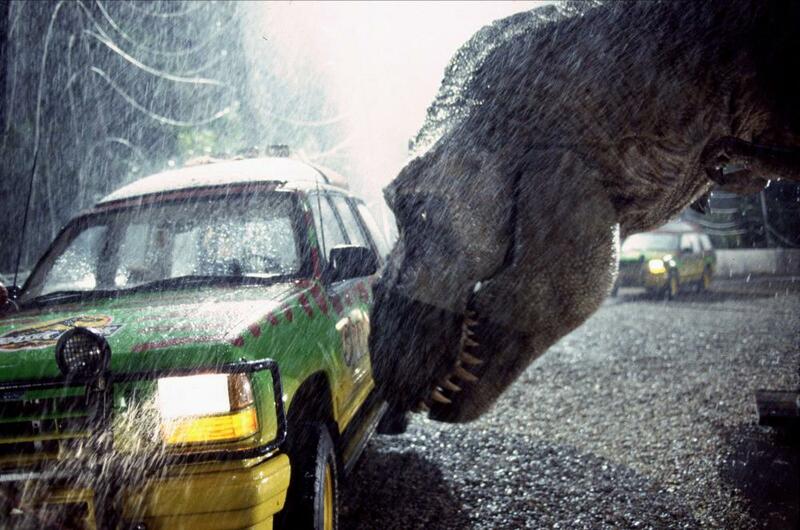 There is no studio presence, there is only his voice,” says Koepp, who wrote the first two Jurassic Parks. Or, as producer Lynda Obst, who developed Interstellar with him, says, “Steven is the studio.” He is known as a steely negotiator. There was something Koepp didn’t want to write into a script once; Spielberg kept reminding him that he had forgotten to do it. “I said, ‘I’m not forgetting, I just really don’t want to write that.’ He says, ‘You shouldn’t, you don’t have to, you absolutely don’t have to, but when I shoot it, here’s how I’m going to do it.’” Koepp wrote the draft. Not that the last few years haven’t been choppy. Indiana Jones And The Kingdom Of The Crystal Skull was ripped apart by fans and critics alike for its George Lucas-originated McGuffin: anyone could have told them Indy shouldn’t be sharing the screen with space aliens. In the same year, DreamWorks, the studio Spielberg launched with David Geffen and Jeffrey Katzenberg, parted ways with its partner Paramount. The costly $150m flop Cowboys & Aliens further winded the company, and in 2013 a glum Spielberg shared the stage with George Lucas at the opening of a cinematic arts school at the University of Southern California, lamenting the fact that, after struggling to find financiers, Lincoln came “this close” to being an HBO movie; he warned of the industry’s impending implosion-by-superhero. Next up for him is the sci-fi thriller Ready Player One, also starring Rylance. After that comes The Kidnapping Of Edgardo Mortara, a Tony Kushner adaptation of David Kertzer’s book about a Jewish boy in Bologna, Italy, in 1858, who is forcibly taken from his family to be raised a Christian, also with Rylance; then it’s Indy 5 for Disney (no aliens this time) and possibly a remake of West Side Story, which Spielberg has dreamed of adapting “for decades”. Has he always heard it himself? Spielberg shakes his head. “It’s not like I’m always being whispered at. It comes when I least expect it. I mainly listen to see if there’s anything urging me forward when I meet a book or a script. I have a strong gut feeling about what I’ve just read. It takes a very, very, very quiet, tiny whisper to get me to say, ‘This one is for me. I’m not going to give this away and produce it through my company. I’m taking this for myself.’” The older he gets, the more he needs some chord struck with his childhood in order to commit to a project.